43% of parents say they want to be their child’s best friend. 40% would buy their children everything they wanted if they could. 37% would prefer their kids at home at ALL times because they want to protect them. 71% of parental child purchases are made without any child request. Parents guessed what their teen or young adult wanted, rather than something he or she asked for. 47% of the teens say they intend to stay home as long as they can. 41% of 20-24 year olds are living at home! 56% of parents are in no hurry for their children to leave home. 72% of parents would welcome their children back at any time. 65% of teens believe their parents “try hard to be a friend." 40% of teens indicated they would raise their own kids differently. Further, Pierpoint says that a best-friend parent “doesn’t give you rules and tell you what to do.” Best-friend parents interviewed for this study felt their own parents didn’t understand them and that is why they want to be seen by their children as someone who is fun to be around, listens and is non-judgmental. (Sources: Personal communication with Ian Pierpoint, and the USA Today). In an article titled “If your mom’s your best friend, who’s your mother?” psychologist Steven Poulter claims "This really is an epidemic. Because of unresolved issues with their parents, some parents today don't want to be so hard and just want their children to like them. At the end of a long working day they don’t want conflict,"
Best-friend parenting raises a number of questions. What does it mean to be a friend? What does it mean to parent? Can parents be friends with their children, and in doing so, do they abdicate parental responsibilities in exchange for friendship? How is a friend-to-friend relationship different from a parent-to-child relationship? Is there a difference between being a friend and being friendly? 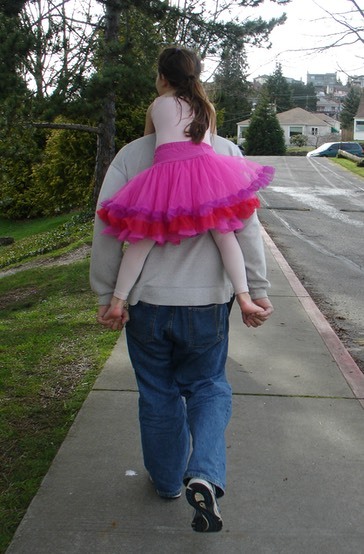 Is being a best-friend parent good for children, or is it a form of overindulgence? If so, what type? I would argue that the role of parent and friend are very different - perhaps even conflicting. The Oxford English Dictionary defines a parent as “A person who holds the position or exercises the functions of a parent; a protector, guardian.” Friends are on the same level with you, equal in power while parents should hold more power than their children. Parents should be friendly, but should resist the urge to become a best friend. This can happen when the child becomes an adult. When children are young, parents have very clear jobs. They make decisions in the best interests of children's development. They say appropriate yeses and no's. They role model. They teach. They mentor. From time to time, they insist. They stand fast as consultants to their children as their children become ever more skillful and responsible. They act to keep children safe. They discipline. These are not the hallmarks of an equalized friend relationship. Friendly, yes. Best friend, no. I believe best-friend parenting is a form of overindulge. It overindulges children in all three ways: Too Much, Over-Nurture, and Soft Structure. Best-friend parents buy everything for their children: Too Much. They want to protect their children by keeping them home as long as they can and cater to their every desire: Over-nurture. They don’t set limits or enforce rules: Soft Structure. 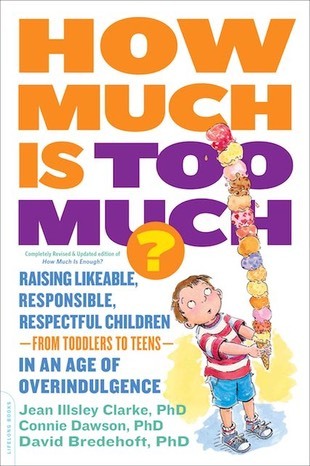 Further, our research shows that overindulgence harms children and they too are more likely to become less effective parents when they grow up. Be friendly to your children, but not their best friend. Expect your children to do chores. Develop meaningful relationships with the adults in your life. Set limits and discuss them with your children. Enforce the limits you set. If you are over-involved with your child, begin the process of emancipation in a thoughtful and caring way for both of you. Be your child’s best parent, not best friend!